So much and so many can indeed be seen by lenses…beautiful Tom. Wow, that is a pretty amazing photo. And the thought you have paired with it, so apt. The committee met, took a vote, and agreed: the eyes have it! What a beautiful being – great photo Tom. You just have to take the time to get to know them beyond what we are taught to think. Many look but do not see. Looks like an electronic/led field. I had no idea a horse fly could be so beautiful! I need to learn to look deeper. fantastic macro picture as always – cam I ask what lens set up you use Tom? Thanks much, Andy! 🙂 I took this one months ago so am not exactly sure which camera and lens was used but “eye” am pretty sure it was a Zuiko 60mm Macro lens on an Olympus E-M1 Mark 2 camera. Great marriage of words and picture. Thought provoking too. 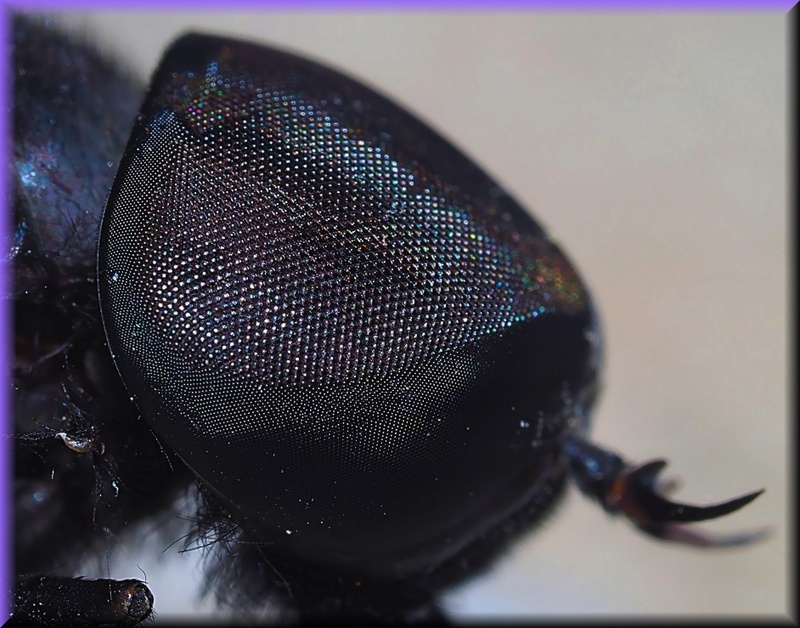 Beautiful image of a horsefly eye but man do their bites hurt. Yowee! Very clever use of the word lenses for your eyes and the horsefly’s eyes … meanwhile, that eye looks like a close-up of a speaker! They sure do Tom, and that horsefly’s eye sure reminded me of the little perforations you see on a speaker. Remember our first speakers on computers that sat out on left and right? I don’t use a desktop, just a laptop, so I don’t know if the speakers still look like that.